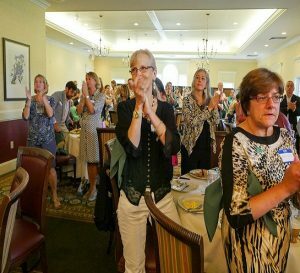 What: This is the main fundraiser to bring families of victims, survivors impacted gun violence and advocates to Washington D.C. on December 14th to honor and remember all victims of gun violence on the 4th anniversary of the Sandy Hook shooting.When: Saturday, September 24, 2016 from 9-11am. Keynote Speaker: Mark Carman is a former police officer, an under cover operative, a Naval Intelligence operative, a recipient of the President’s Volunteers in Service to America Lifetime Achievement Award, Ambassador of Good Will (State of Tennessee), Grammy Nominations, Song-writing Awards, and Number One Recordings. The 2016 #HonorWithAction award recipients will be recognized. RSVP: Please reserve your tickets here by Thursday, September 8th. CT Against Gun Violence, Inc.